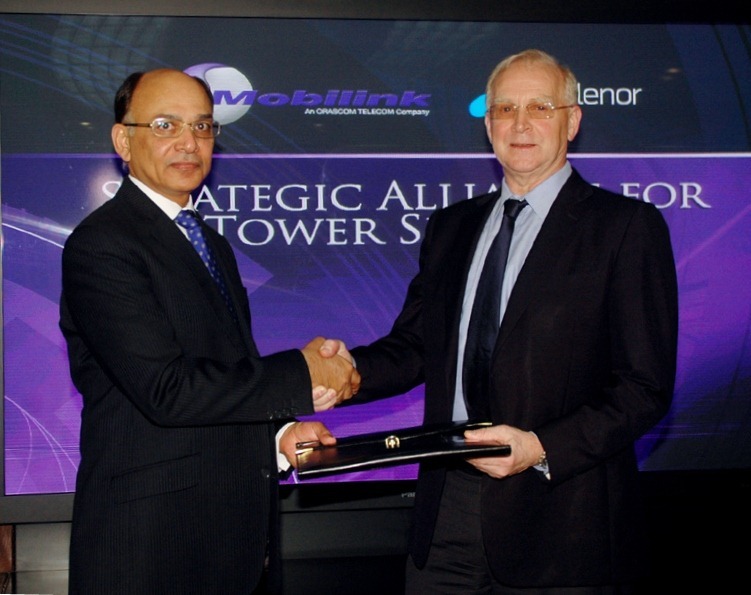 Mobilink and Telenor have signed an accord to enter into an agreement to mutually share their network infrastructure. This agreement came shortly after Mobilink singed a similar contract with Ufone. This agreement between Mobilink and Telenor will help both the operators to expand their network. Rashid Khan, President and CEO Mobilink, and Christian Albech, CEO Telenor Pakistan signed accord for tower sharing between the two companies.